Shall we just look at them for a while? I think a wise diet plan is to not eat any doughnuts you don’t make yourself. And then don’t make any doughnuts. Seriously though, when people ask me why I’m not fat, part of the reason is that because I have eaten my own home-made doughnuts, nothing from the ubiquitous chain is even remotely appealing. I only tried one of the three toppings that accompany the recipe but the chocolate and vanilla glazes did look really, really good. As you can see, I opted for the simple cinnamon sugar and then just did the rest in powdered sugar. As with any deep-frying, temperature control is key. Although the recipe says to cook these over medium-high heat, I found that at that temperature my doughnuts were cooking way too fast. Next time I will try medium heat. I used my beloved 7.25 qt. LeCreuset dutch oven for these and, fyi, to get to the required 1″-1-1/2″ of oil you will need about a gallon in this pot. Fortunately for all of us, this recipe is out there on the internet. 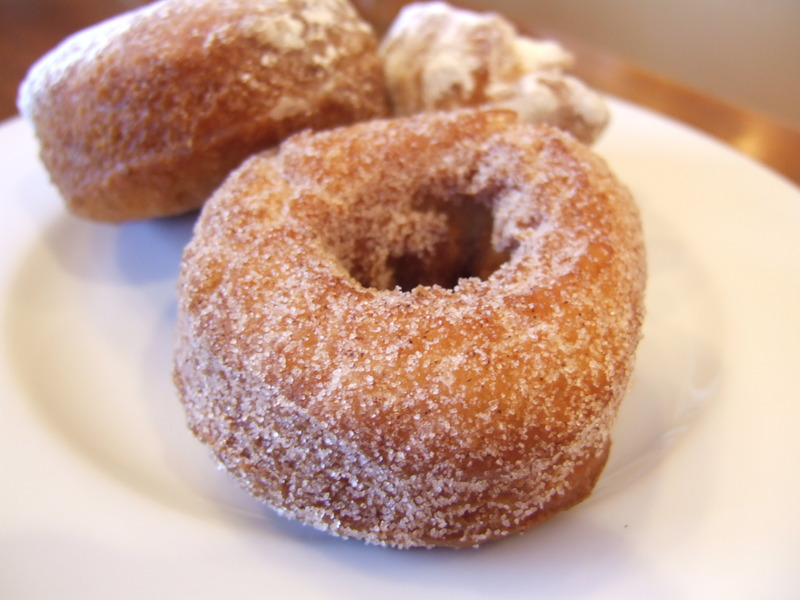 Farm Stand Buttermilk Doughnuts, from Baked Explorations. 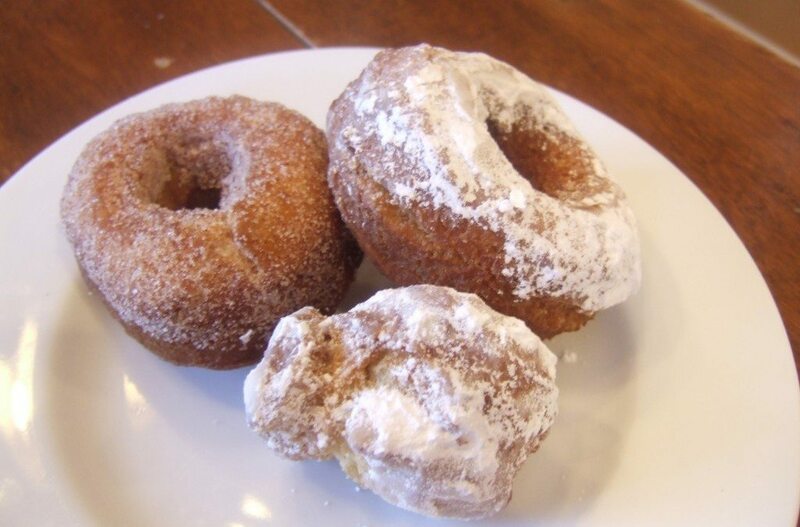 i’ve never made my own doughnuts but always wanted to try. they look great.